I've been saving some of this up too long, I suppose. First, we have Lew Bryson reporting that Scott Smith at Pittsburgh's excellent East End Brewing Company is basically selling shares in his new brewery. He needs to raise money, and is looking for people to donate $1000, which you will be able to reclaim in gift certificates for beer. Neat business model, but that's a higher price point than things like Kickstarter allow. I'll be interested to see if it works. Via TheFullPint, New Holland is hosting a Jackson Pollock beer-art event on May 25th. Pollock is definitely my favorite postwar artist, and maybe favorite artist ever. Both the Ladies of Craft Beer, who take on a chauvinistic Israeli beer campaign, and Liz aka "A2 Beer Wench," who runs Wolverine State Brewing, took on some of the always-interesting gender roles in craft beer. The LOCB is dead-on, if maybe beating up a straw man, and the discussion Liz puts up is frank and honest. The one thing I will say is that Liz' male counterpoint suggests people only drink craft beer for the flavor, and not marketing, a statement with which, as we know, I strongly disagree. Both worth checking out, though. These links posts are going to get rarer and rarer as I share more of this stuff via social media. 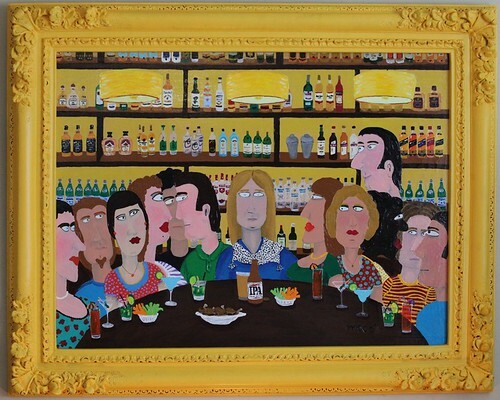 If you like this stuff, you can usually find more at the Pour Curator Facebook page and on my Twitter feed. In full disclosure, the brewery owner, Wim Vanraes, did ask me what I think of this design, and I gave him some feedback. I actually really like it, especially for the Belgian-style brewing Wim plans to be doing (he is originally from Belgium). The soft earthtone of the backdrop, red-tinged Gothic window, and classic historic font are all reminiscent of some of the Trappist breweries (think Westmalle or Rochefort). 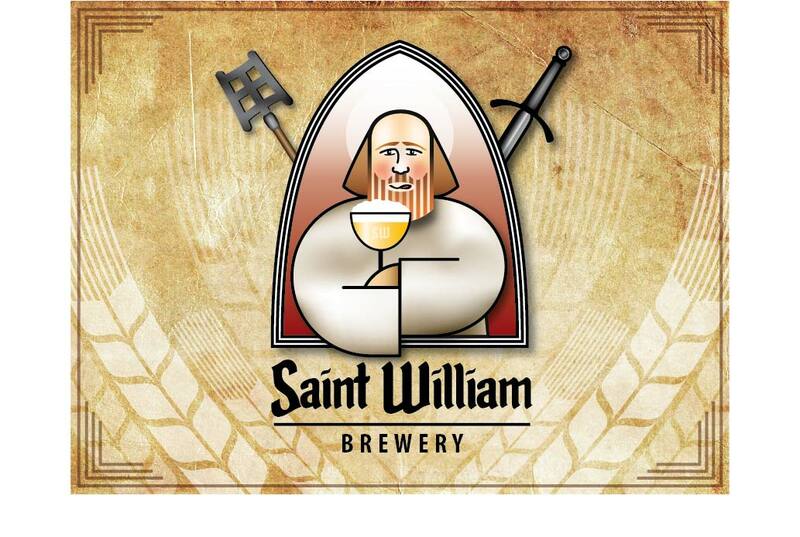 Yet Saint William is clearly having some fun with the smirk and red cheeks, and the sword and brewer's paddle are a nice juxtaposition. William in the window would be the logo, obviously, without the grain and tan backdrop. It also nicely connotes a startup brewery; it's not overly slick or serious or professional, which, for a startup relying on its indie persona, makes sense My feedback to Wim was that this was a good startup design that he probably would want to revisit if the brewery is successful in about five years or so.